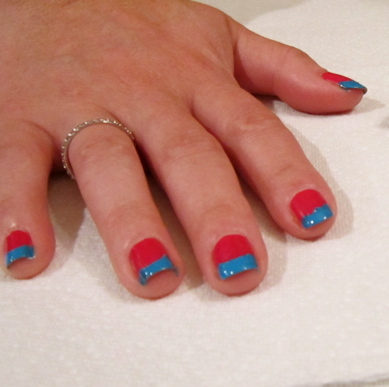 Next, place the reinforcements on your nails and leave as much of the tips out as you want to be the contrasting color. Paint each nail from the reinforcement to the tip. Let dry and then add a top coat. A super easy way to spice up your nails!